On December 16, 2011, the government announced that the crippled Fukushima No. 1 nuclear power plant finally achieved a state of "cold shutdown" following the world's worst nuclear accident since Chernobyl. It marked the latest in a series of energy-related developments since the "Great East Japan Earthquake" shook northeastern Japan on March 11, leaving in its wake thousands dead, vast property destruction, and a destabilized nuclear power plant owned and operated by Tokyo Electric Power Corp. The inability of TEPCO to contain the nuclear disaster for close to nine months has led some to speculate about the sustainability of nuclear power in Japan's energy mix. For decades, the electric power sector has been guided by a multitude of actors who have pushed for energy diversification, energy efficiency and, more recently, nuclear energy—all in the name of industrial growth. Since March 11, renewable energy has garnered a renewed interest in Japan, while nuclear power has suffered a political backlash. On March 31, then Prime Minister Naoto Kan announced his intention to start energy policy anew. Two months later the premier advocated "safe nuclear" while promoting renewable energy. This attitude, not surprisingly, morphed into the premier's ultimate desire to abandon nuclear power altogether. Will it happen? Can Japan maintain a nuclear-free society in the short-to-medium term without risk of rolling blackouts? Are energy security and environmental sustainability fundamentally compatible or mutually exclusive? Is economic efficiency still possible in an energy market that also promotes and subsidizes renewable energy sources? To be sure, Japan's energy situation begins and ends with its geographical constraints. Because Japan is a resource-poor industrial giant, it imports much of its primary energy supply, with virtually 90 percent of its oil imported from the politically volatile Middle East. Finding alternatives that shield the country's economy from severe fossil fuel price fluctuations and potential shortages on the world market has been the nation's priority since the 1973 oil shock. Both the Basic Act on Energy Policy (Enerugi seisaku kihon ho) of June 2002 and the New National Energy Strategy (Shin-kokkai enerugii senryaku or NNES) of May 2006 can be viewed as dealing with what the Ministry of Economy, Trade and Industry calls the "3Es:" energy efficiency, energy security, and energy friendliness to the environment. In 2006, this policy was partially designed to address on-going oil price spikes, raising the target of nuclear power's share of total generated electricity to 30 percent by 2030. Four years later, rising oil price concerns precipitated further revisions: nuclear to 50 percent, renewables to 20 percent, and a "zero-emission" carbon-free ratio from 34 to 70 percent—all by 2030. Historically, such an aggressive move would have been supported by the technologically proven and cost-effective innovations of the day. After developing hydroelectric power to its fullest, electric power companies turned to domestic coal. When the Japanese market was opened to cheap and abundant fossil fuels in 1961, foreign imported oil power became popular. When the oil shock exposed these import vulnerabilities, the power companies chose to diversify their imported fuel mix between coal, gas, and oil, while continuing to erect nuclear power plants. Being the "lesser of two evils," as the argument went, nuclear power became the inexpensive, non-carbon, baseload pillar of the Japanese economic growth-machine. Few would deny that Japan is indeed entering a new era in its energy policy. However, renewable energy is not necessarily the next "safe bet" in Japan's long history of catch-up with the industrialized West. Solar power is quiet and clean, but its prohibitive cost per kWh and low utilization rate ensure its marginalization for energy-intensive industries requiring stable 'baseloads' to operate efficiently during business hours. Wind power is far less costly per kWh, and offers a slightly higher utilization rate, but its unreliability requires increasing fossil-fuel back-up sources, while the windmills pose a danger to avian wildlife. Hydroelectric and geothermal power show strong promise on economic and environmental grounds, but face political opposition from activists and small business owners alike, who disapprove of flooded valleys, alterations to the ecosystem, and unpredictable exploration prospects in environmentally fragile locations (sometimes national parks) where, for example, it is hot enough to produce geothermal steam close to the surface. 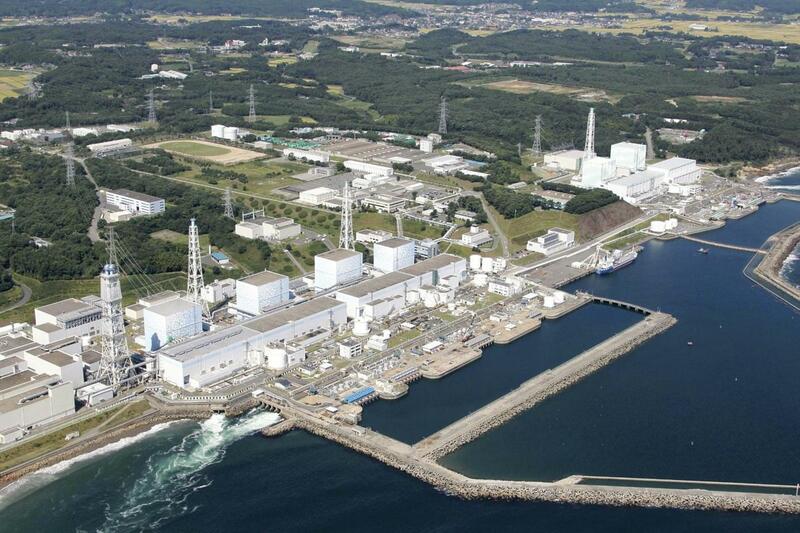 Today, only nine out of 54 nuclear rectors remain operational in Japan. The last is likely to go offline (and stay offline) by May 2012 if local not-in-my-backyard (NIMBY) politics proves successful. What impact this political move will have on Japan's already low electricity reserve margins and therefore blackout risk is a subject of intense debate. Japan still needs nuclear power to achieve the targets it established in 2010. Only 19 GW of capacity—mostly from natural gas and coal—are under construction, with renewables only holding a minute share (0.1 percent). The advocates of increasing the share of renewables mention the German, Icelandic, and Danish models for pushing such an agenda. What is often overlooked is that these countries have adapted strategies to comply with distinct natural and institutional surroundings. Countries with initially low electricity prices were able to offset substantial increases in subsidized investments in renewables from higher-priced feed-in tariffs, tax credits, and green premiums. Moreover, such countries sustained overcapacity in conventional sources which served as necessary back-up power against the unreliability and dispatch problems associated with more unreliable and intermittent renewable energy sources. More broadly, "going renewable" would mean a complete psychological overhaul for Japanese decision-makers. Leaving nuclear would mean a move against the incumbent power companies and their strong dislike of uncertainty and risk. Except for Okinawa Electric Power Company, all of them own and manage nuclear power plants and prefer a marginal role for renewables. Their size, de facto monopoly position, control over pricing data, and privately owned assets put them at an advantage to comparable companies in most other industrial democracies. But their political influence is not limitless. There have been no (reported) cash contributions to political parties since 1977. Despite a few Diet members who are nuclear straw men, the Diet is not under the spell of the nuclear industry. Electricity draft bills have been scrutinized by "trade and industry" committees at both chambers in the past. These committees are not mere rubber-stamp bodies. In 2002, politicians largely modified a draft bill on nuclear waste because of what they saw as safety negligence. More recently, politicians rejected a proposal by TEPCO to invoke Article 3.1 of the Law on Compensation for Nuclear Power Damage, thereby absolving the company of all financial liability. Which side will win in this political tug-of-war remains an open question. Today, Japan's energy policy is at a crossroads. It prioritized resource diversification, with a nuclear emphasis, after oil price shocks between 1973 and 1981 China's resource nationalism, global warming awareness, and one last oil price spike between 1998 and 2008. Yesterday, it was a topic reserved for insiders. Today, energy policy is debated among politicians, bureaucrats, industrials, eco-entrepreneurs, power companies, and the electorate itself. It has three priorities that are somewhat contradictory: energy security, energy efficiency, and environmental friendliness. The first two are pursued by power companies and their main clients, requiring the pursuit of nuclear policy with upgraded guidelines on earthquake-tsunami resistance standards, combined with stricter enforcement of these guidelines. The third is pursued by eco-entrepreneurs and a growing share of the electorate, requiring renewable energy growth that threatens an increase in electricity bills. Politicians, who still have not grasped the full picture of Fukushima and its legacy, will have to decide which to prioritize.